The pleasant capital city of the state of Karnataka is known for its salubrious climate. 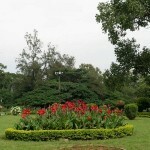 Often called ‘Garden City’ of India, Bangalore has fine parks and avenues lined with flowering trees. Stately buildings, splendid shopping,. Fine pubs and eating places, golf courses all add to Bangalore’s charm. The city is also known as the Silicon Valley of India for the extensive software industry that is located here. Bangalore is an ideal starting point for a taste of all the delights that the state of Karnataka has to offer. The beautiful sculpted temples of Belur and Halebid, Sravanabelagola, the ancient Jain shrine with the world’s largest monolithic statue of Gomateshwara, fine wildlife parks at Nagarhole and Bandipur and much more. Bull Temple: The gigantic image of the celestial bull, Nandi, which stands at 4.57 meters in height, is a classic, example of Dravidian architecture. A festival to celebrate the harvesting of peanuts is held here during the month of Nov – Dec. every year, which attracts large crowds from all over the state. Cubbon Park: This beautiful park, which spreads over 300 acres in the heart of the city, serves as the lung space of the overgrowing Bangalore city. Designed by Lt. General Sir Mark Cubbon, in 1864, is dotted with beautiful statues, flowering trees, fountains and a library in its midst. Tipu Sultan’s Fort and Palace: A very small portion of the mud fort built by Hyder Ali and his son Tipu Sultan, stands to this day, which is a far cry from the original. 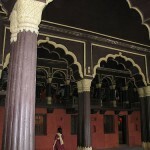 But the summer Palace of the great hero, Tipu Sultan, built in wood and ornately decorated, remains untouched by the vagaries of time. 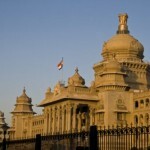 Vidhana Soudha: A magnificent building of the Neo – Dravidian style, houses the State Legislature. Vishveshwaraya Industrial & Technological Museum: This museum is a tribute to Sir. M. Vishveshwaraya the Architect of modern Karnataka, a must see for students and Science buffs, which presents the amazing wealth of modern science. 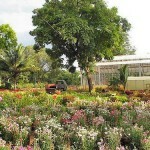 Lalbagh Gardens: This expense of greenery is one of India’s most beautiful botanical garden. Hyder Ali and Tippu Sultan laid it out in 18th century. 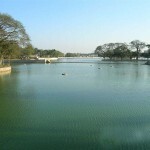 Within the Gardens there is a beautiful lake with water spread area of 1.5 sq. kms dotted with picturesque tiny islands. It is a good picnic spot. Sir Gavu Gangadareshwara Temple: A unique phenomenon of this cave temple is the sunlight passing through the horns of the bull to light up the Gavu Gangadareshwara idol on the day of Makara Sankranthi i.e. January 14th or 15th every year. 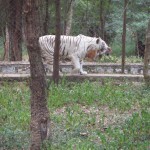 Bannerghatta National Park: Located approximately 22 kms away from Bangalore, this park has a mini Zoo, Elephant ride, Lion and Tiger safari and Crocodile farm. 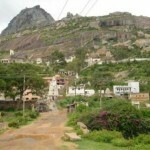 Devarayanadurga: This hillock is famous for the historical Temples of Yoga Narasimah and Bhoga Narasimha. 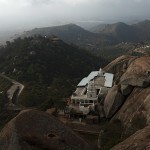 It is situated at 71 kms from Bangalore. Another attraction of this place is the Natural Water Spring called Namada Chilume. Dodda Aladamara: This place is located at 28 kms from Bangalore. The huge 400 years old banyan tree spreading over 3 acres is a botanical wonder. It is a perfect Picnic Spot. 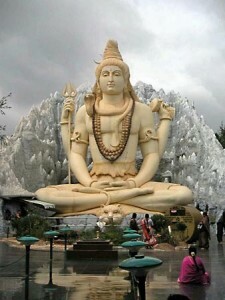 Ghati Subramanya: This place is located at 52 km from Bangalore. This pilgrimage centre is famous for the Lord Subramanya temple. 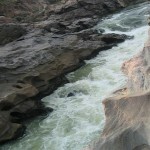 Hesaraghatta: This place is located approximately 25 kms away from Bangalore. It is known for its artificial lake with wind surfing and boating facilities. Mekedatu: The River Cauvery flows through a deep gorge making it a very beautiful picnic spot, located approximately 86 kms away from Bangalore. Pearl Valley: This place is located at 40 kms from Bangalore. 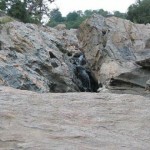 It is another famous picnic spot with its waterfalls and its verdant surroundings. 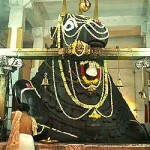 Sangama: This place is located at 82 kms away from Bangalore. This place is a confluence of two rivers Cauvery and Arkavathi and a place of great scenic beauty. Siddara Betta: This place is a treasure trove of natural wonders, with many caves and medicinal herbs. On top of the hillock a natural spring with its cold water gushes out & it has medicinal value. 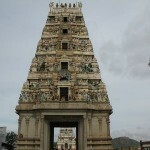 A temple in its vicinity attracts lot of pilgrims, located at 100 kms from Bangalore . 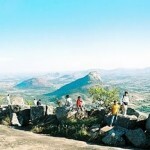 Shivagange: This place is located 56 km from Bangalore. This cone shaped hill offers a breathtaking view from the top. Also known for the shrines of Gangadareshwara and Honnadevi. Badami: 499 Km. from Bangalore. Near Bagalkote on the way of NH 218, the exquisite sculptures and the rust red sandstone cliffs tell many a story. The North Fort, Mahakuta and the Banashankari Temple are not to be missed. This entry was posted in Bangalore, Karnataka and tagged about bangalore, Badami, bangalore city, bangalore map, bangalore places, Bannerghatta National Park, Bull Temple, Cubbon Park, Devarayanadurga, Dodda Aladamara, Ghati Subramanya, Hesaraghatta, Lalbagh Gardens, Mekedatu, Pearl Valley, Sangama, Shivagange, Siddara Betta, Sir Gavu Gangadareshwara Temple, Vidhana Soudha, Vishveshwaraya Industrial & Technological Museum. Bookmark the permalink.